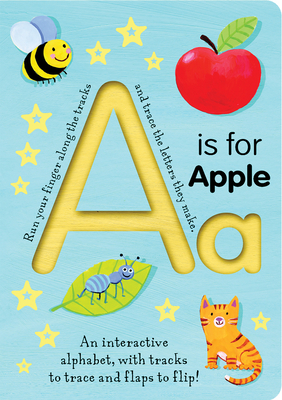 This brilliant, innovative book offers an engaging new way for children to discover and learn basic concepts of the alphabet. Colorful lift-the-flaps on every sturdy page further reinforce easy learning. Each board page features a grooved letter that a child can trace with his finger, a flap to lift to find a surprise, and bright illustrations depicting familiar objects. Full color.